Before SEVENTEEN made a debut in 2015, the group couldn’t receive much attention from people in the k-pop industry. As the team’s senior group NU’EST has experienced the repeated failure of its album since debuting in 2012, some said Pledis, home to NU’EST and SEVENTEEN does not have the capability to produce a popular boy group, while others said SEVENTEEN has too many members. However, against all odds, SEVENTEEN made a successful debut and became one of the hottest k-pop boy groups right away. The group is now very popular not only among Korean teenage girls but also among foreign fans, while it is notable that the group had a successful concert tour in Japan in early 2017 even though it has been only 2 years since its debut. Well, SEVENTEEN’s big success is mainly because of the members’ great creative power. There are many k-pop idols who take part in writing their own songs these days, but some of them just pretend to do it. I mean, they do little to make their own songs, while professional composers do all the works. 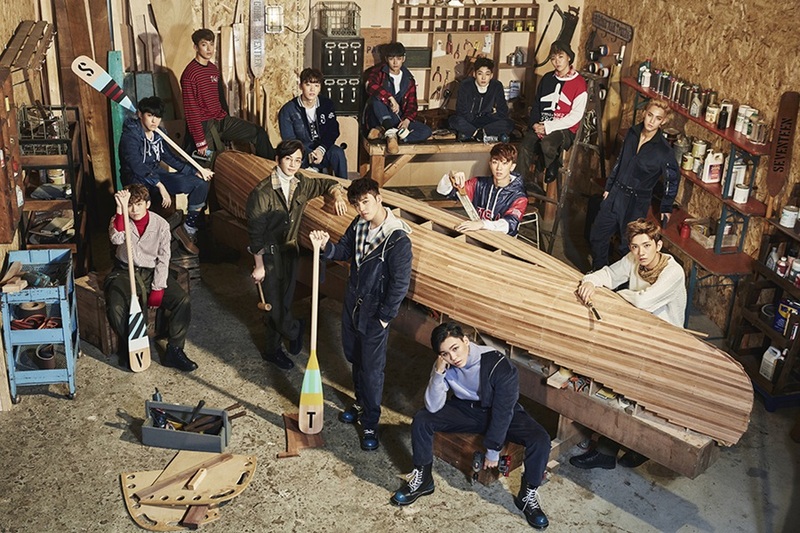 However, the SEVENTEEN members play the leading role in producing their albums, and they design their choreography too. That’s why their music and performance are so fresh and energetic. I’m sure SEVENTEEN will be able to become a bigger star in the k-pop industry because the group has originality.